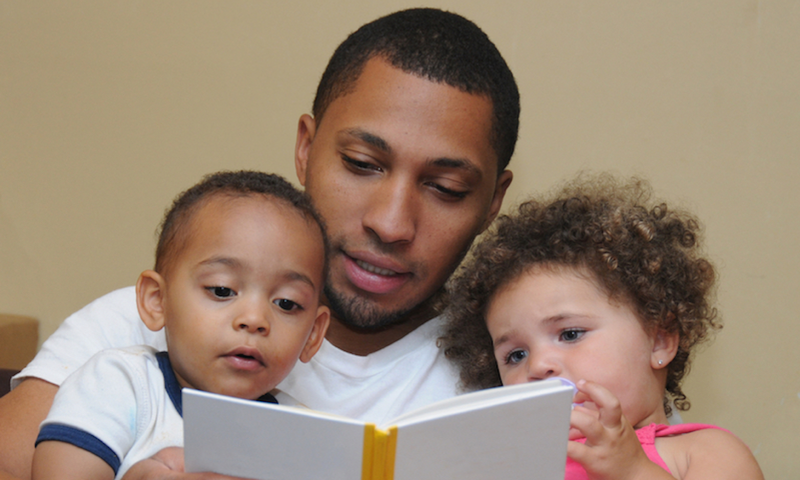 A US program, Fathers Supporting Success in Preschoolers (FSSP), helps dads support their children’s cognitive development, with a focus on language skills. But the benefits are broader: children’s social development also improves. An evaluation of the program found that fathers who participated reported more positive parenting on their part than fathers in a control group who did not participate in the program. They said that they criticised their children less and encouraged them more. They also reported more constructive responses to difficult child behavior. Researchers observed greater improvements in the children’s cognitive development. Language skills improved more, including both auditory comprehension and expression. 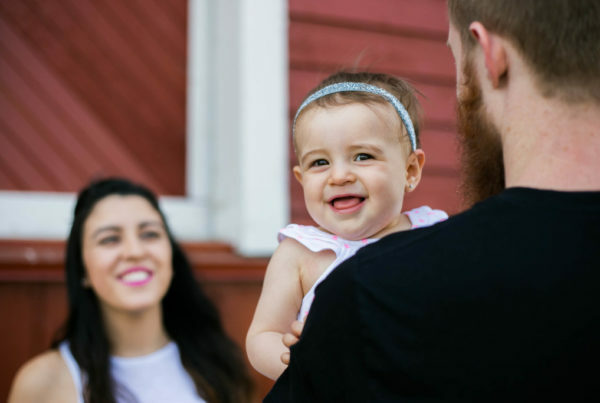 FSSP is ultimately about supporting parenting skills, such as letting children take the lead during child-centered time, reinforcing positive child behaviors and having age-appropriate expectations for children. The program approaches these skills via an activity that is known to be popular with dads – helping their children to learn and be ready for school. In the relatively few research studies about the impact of parent support programs on fathers, results are mixed when it comes to enhanced child cognitive and social development. This could be because of poor technique in engaging fathers. In one experiment, 70% of dads dropped out, suggesting a major problem in program design. Programs for mothers tend to focus on daily household and caring activities. The logic behind FSSP is that this is not the best place to start with fathers, partly because many do less of this routine work than mothers do. Also, dads tend to be highly sensitive to judgment about their parenting and wary about anything that suggests that their parenting is inadequate. FSSP places the focus on cognitive development – developing children’s language skills and preparing for school entry. The program is designed around group viewing and discussion of short videos of high- and low-quality parenting. Fathers are invited to apply their own expertise and analysis in the discussion. The short video clips are first discussed in breakout groups of three or four, followed by a full group discussion. This discussion is fueled by questions such as, What messages were conveyed to the child by the behavior shown? and What is the impact on the child, on the father-child relationship and on the family? Facilitators are not required to be highly qualified specialists. In this program, they were volunteers from local Head Start early childhood services. They included teachers, service receptionists and social workers. All received three two-hour training sessions and a manual. The videos focus on storytelling with the child, using picture books. The fathers do not have to be literate. The children are encouraged to become the storytellers. 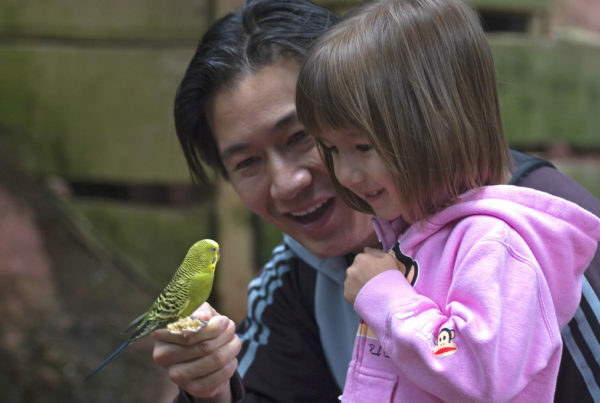 Fathers are shown the techniques of praising effort, correcting without criticism and tailoring feedback and questions to the child’s level of development. This evaluation involved 126 Hispanic fathers from New York City, divided equally between those who joined the program immediately and those who were put on a waiting list to participate later. The eight weekly 90-minute group sessions took place in the late afternoon, with a meal provided; each group had six to 12 dads. On average, dads attended 79 percent of the eight sessions. Rolling out programs like this for fathers presents substantial practical difficulties. Many services for parents work only with mothers and have few relationships with fathers. And many are strapped for resources. For this study, many early-years services in New York could not recruit enough fathers to run a single regular group, even though the program was simple to deliver and didn’t require highly qualified specialists. Ultimately, providing just one program for dads in a community will capture the interest of only some. Furthermore, some fathers would prefer activities that also include mothers, yet earlier research has shown that low-income mothers tend to be less keen on that idea than fathers are. We have a long way to go before early-years services routinely and effectively provide programs that engage fathers in improving child development. Next PostFathers influence child development but this is persistently ignored: why?